Bridge24 offers custom software development intended to meet your unique requirements. Our skilled specialists have vast knowledge of business processes and solutions and deliver within time and budget constraints. The main goal of Bridge24 is to offer reporting and exporting capabilities for Asana, Basecamp, Trello, and AceProject using their API’s. We are experts using their APIs and we can create specialized custom work you want built on top of their existing platforms. Over the last 3 years, we have become experts developing a lot of tools, such as grids, calendars, boards, retrieve/display history, interactive charts, reports, export to Excel/CSV/PDF, task update/edition, etc. We can work with any of their objects: projects/boards, tasks/cards, subtasks/checklists, comments, documents, change history, etc. Important: Note that all custom developments are done within Bridge24. Basically, you’ll have to connect through Bridge24 to access what we do for you. This way, it will cost you much less since an existing infrastructure is already coded and ready to use. Charts: Missing a chart? Need a chart based on custom fields or historical data? Reports: Need a specially formatted or detailed report? Need specialized reports with calculated values and summaries? Export: File format that is missing for export? Export scheduling via email? Custom file structure required? Import: Lots of tasks to import, and you want to save time? Bulk Editing: Bulk assignments and status modifications? bulk copy/moving? Date shifting? Tag managing? Shared Work: If your requests can be shared with our user community, then only 50% of the development cost will be charged to you. No annual fee will be charged for the maintenance. Tailored Work: If your requests are too specific and tailored just for your needs, then 100% of the cost will be charged to you. 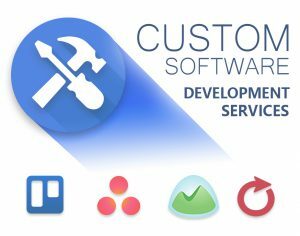 Moreover, since the API provider may make changes over time, we may have to charge you to keep your custom development working if feature is interrupted. Contact us now to tell us of your needs!